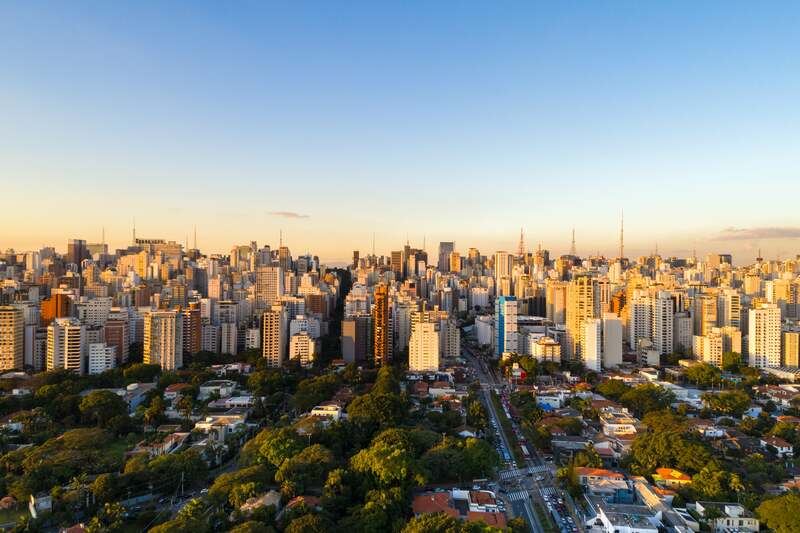 Getting to São Paulo is easy with a non-stop flight, so follow these tips to hone your international business savvy and take on Brazil’s largest metropolis. When most North Americans think of Brazil, they are quick to imagine beaches, coconut groves, and bossa nova. But none of those stereotypes apply to São Paulo (the city known affectionately as “Sampa”). Although Boston and São Paulo appear to be complete opposites on the surface, their central nervous systems share similarities in the business arena. Like Bostonians, Paulistas possess a creative, entrepreneurial spirit that cultivates a burgeoning tech scene (and this, in spite of Brazil’s ongoing recession). In fact, Boston-based tech giants Trip Advisor, Kayak, and Akamai all have satellite offices in Sao Paolo. Google even opened a campus for entrepreneurs there in 2016, which is one of only seven in the world. Today these two centers of commerce are more connected than ever with the only non-stop flight from Boston to São Paulo on LATAM Airlines, departing Logan International Airport four times a week. If you are heading to São Paulo on business, come prepared to meet any professional challenge with these five tips to travel the Paulista way. Committing a cultural faux pas in a foreign country is not only embarrassing, it can undermine your credibility when opportunities to make a good impression are few and far between. For that reason, it’s essential to first have a working knowledge of Brazil. The current president is Michel Temer; the official currency is the Real (pronounced “hey-all”); and the capital is Brasilia. Futebol (pronounced “foo-chee-bole”) means soccer, and don’t ever bring up the devastating 2014 World Cup loss against Germany unless you want to take the air out of the room. The well-traveled business person should familiarize themselves with the local Paulista culture, which is a stark contrast to what one experiences in Rio de Janeiro (Sampa’s rival). São Paulo couldn’t be more different as a beachless megacity of over 12 million and a principal center of arts, culture, and commerce. By no means is Sampa a laid back place: it takes pride in its feverish hustle and world-class services. The city also wears its Italian heritage on its sleeve (like Boston) and is home to the largest population of Japanese diaspora. Taking a 10-plus-hour flight is a serious undertaking for even the most experienced executives, but you can travel tranquilamente (serenely) every time with the LATAM Premium Business Experience and the following advice. Staying hydrated with água de coco (coconut water) is a good first order of business. On LATAM Airlines, you may also choose to savor healthy fare with South American ingredients and a regional wine list selected by the only Master Sommelier in Latin America: Héctor Vergara. Once you’re satiated, put on a pair of noise-cancelling headphones and tune into soundtracks from Paulista-born Tulipa Ruiz and Céu, or take in a foreign film or episode of one of your favorite TV series, or dive into an engaging game from a high-resolution, 15.4-inch display. And when your eyes start to feel heavy, recline back in your comfortable, fully-reclining bed for a serene night’s sleep. 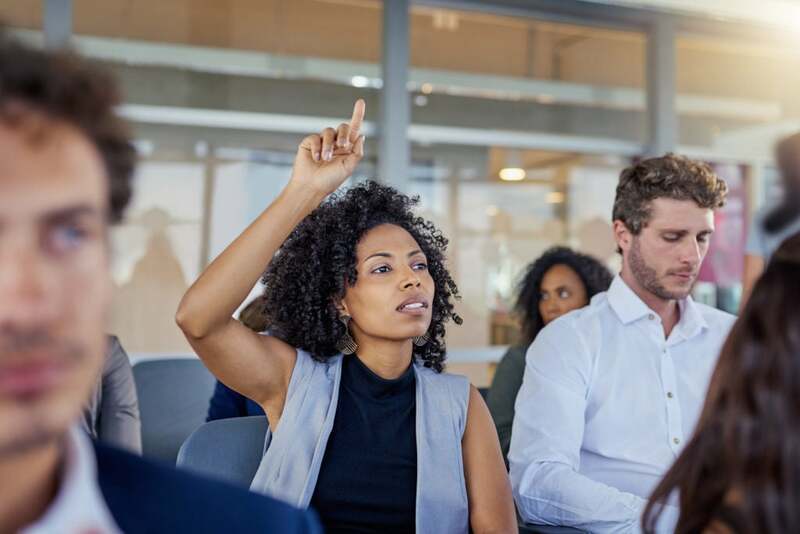 Learning business lingo in Brazilian Portuguese will help you navigate social situations once you land (Note: Brazilian and European Portuguese are strikingly different). Below is a quick list of phrases that will open up your communication and show Brazilians that you came prepared to understand their culture. The food scene is an integral part of São Paulo, and the city boasts one of most acclaimed Michelin-star restaurants in the world—D.O.M.—and countless other impeccable establishments like Restaurante Fasano and Figueira Rubaiyat. 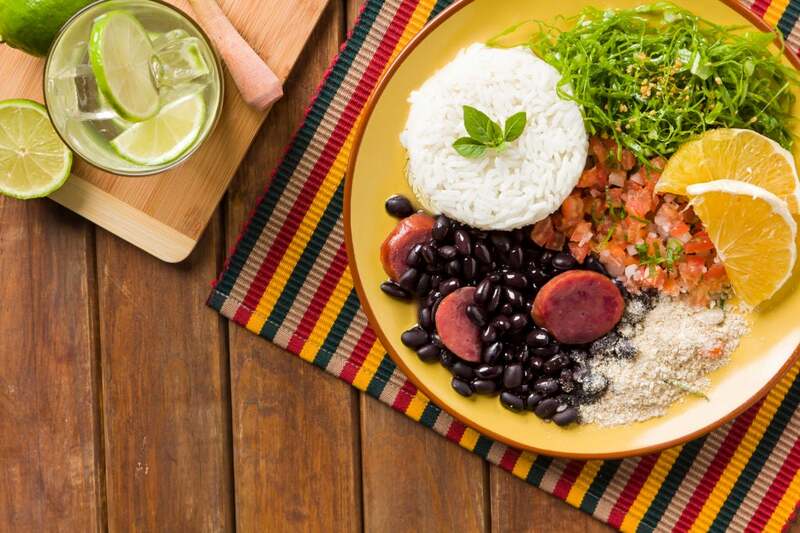 But before you can confidently venture into haute cuisine, here’s an introduction to Brazilian gastronomy from The Municipal Market in São Paulo. For starters, café da manhã (breakfast) is more than grabbing a cup of drip coffee in the morning. It’s commonplace to encounter a hotel buffett with exotic fruits, juices, breads, meats, and cheeses to start the day. For lunch you can expect a sizeable, hot meal around noon; and dinner usually starts later, from 7 to 9 p.m. If you receive an invite to tomar um chopp (drink a pint) then take the chance to enjoy salgadinhos (salty, deep-fried snacks) and get to know your Brazilian colleague better. Like their Bostonian counterparts, Paulista’s are rarely late for a meeting. In fact, wasting someone else’s time is seen as incredibly disrespectful, so be sure to factor in the onslaught of traffic during rush hour when taking a taxi or Uber. A handshake is the most common greeting for business, though it’s not unheard of to receive a side kiss on both cheeks—especially once you become more than a one-time acquaintance. If you do reciprocate in the moment, just be sure that it’s a peck aimed upwards in the air and not a wet-lipped fiasco. At the dinner table, always mind your manners and try not to overtly talk shop; Paulistas like to enjoy their meals with a natural conversation. It’s also helpful to know that Brazilians are more apt to pick up cutlery before using their hands with finger foods such as pizza—simply follow their lead. Now that you’ve acquired some basic tips to hit the tarmac running in São Paulo, you’ll be equipped with the know-how to make for a successful business trip with minimal culture shock. Carrying your bom senso (good judgement) every step of the way will help you to be culturally aware and dodge any avoidable gaffes. Regardless, the flight will be the easiest part.